Zelda is my all time favorite video game series so I'm pretty excited to be posting another Zelda recipe. My Zelda love extends pretty far. Let's just say I did something permanent to my left shoulder in the shape of the Triforce. Personally, I think Majoras Mask is the most underrated Zelda game. Sure, it's a little weird (even for Zelda) and there's only four temples, but the level of interaction with the townspeople is massive. When I played it for the first time of many I spent hours just following people around and learning their routine and their stories, I didn't actually even try to complete the main questline for months. 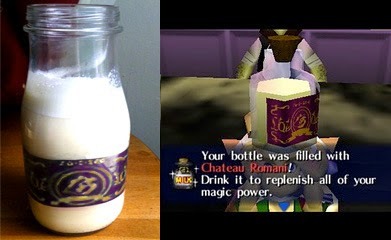 This particular recipe, voted for by you guys, is for a type of milk that only appears in this particular Zelda game. It's difficult to obtain in the game, both ways being pretty time intensive, but the result is definitely worth it as it's even better than Lon Lon milk. It comes from Romani Ranch, which is owned by two cute redhead sisters, Cremia and Romani (who both look suspiciously like Malon from Ocarina of Time), with some very special cows. It delivers exclusively to the Latte Milk Bar in East Clocktown, for only the most wealthy of people. The stuff sells for 200 rupees so you need to upgrade your wallet to even think about purchasing it, and that's only if you manage to save the cows from alien abduction. Chateau Romani will fully replenish your heart bar as well as give you unlimited magic, although it might make you a wee bit tipsy... making it absolutely perfect for boss fights! Keeping all of this in mind, the recipe I've come up with is for a super creamy delicious and decadent milk drink that infuses regular milk, french vanilla ice cream (has to be French, it will give that nice golden color it has in the game and, I mean, it's called "Chateau" Romani) and Baileys Irish Cream, as well as a little carbonation to give you that energy boost. The result looks just like it and is pretty darn tasty if not a little fattening. But, remember what Cremia said, this drink is not for children. Or you can just take out the Baileys, then it totally is. He mentioned that you can substitute non-alcoholic Irish cream which would render the whole thing non-alcoholic. Just remove the bailey's dude. He even said it in the recipe. 'HE' even said it in the recipie? 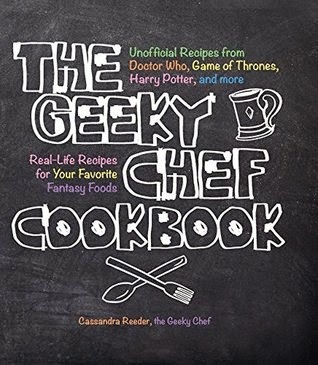 You know the geeky chef is a chick right? 'YOU' do realize no one cares, right? You're all internet trolls! Especially you Ojani! @.@... My dream.. come true. CHATEAU ROMANI!! I'd add just some irish cream instead of the alcohol. =D I'm gonna make this when I go home for spring break. only till the moon crashes though! LOL! I love Zelda as well and I've never even heard of this game!! Fable 3 has been distracting me. I'll be keeping my eyes for this game soon, thanks for the mini-review and also, the recipe :-) Great job!! has anyone actually tried this? I want to..it sounds good ._. Oh my god! Update on one of my favorite foodie blogs? Made my day, even if I'm 10 days late for it. You should really update more often, I love all of your stuff. I made it yesterday and it is yum. I had to substitute honey for the bailey's, though, as I'm underage. It works really well, and I can TOTALLY imagine myself fighting some dodongos after drinking it. I tried a variation of this, seeing as it's not an exact science. I found that mixing in rum and raisin ice cream (without the raisins) works great as well. 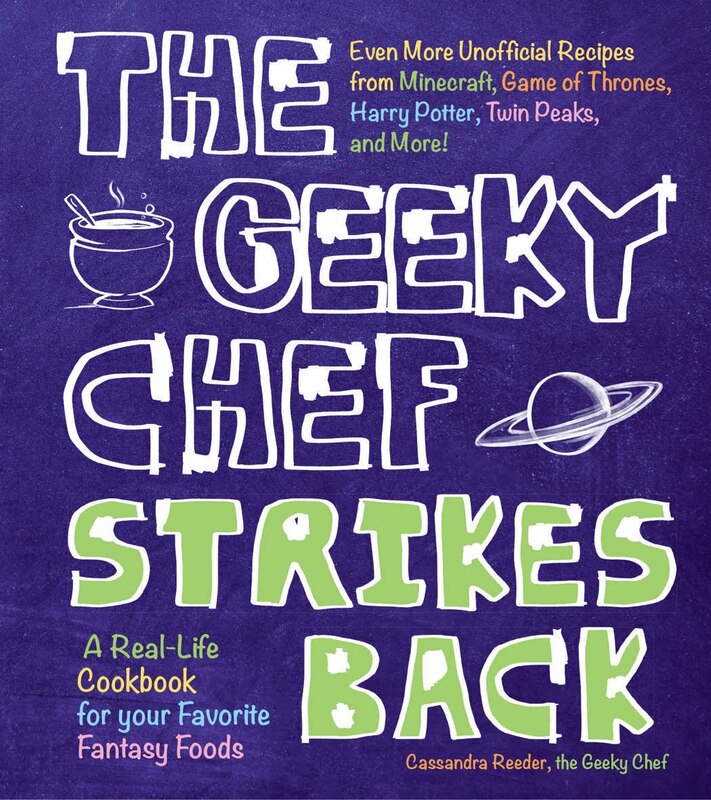 Either way, hats off and glasses raised to you, Geeky Chef! Cheers! Just tried this recipe only days after finding your wonderful blog, and oh, I think I might be in love! It's wonderful! My mom made a suggestion of using 1% milk (we usually buy 2% for our household) and it worked out wonderfully. This is really nice.My wife likes Baileys full stop so I made this for her so I could get out of making lunch.Now were out of ice cream and out of Baileys.We skipped lunch. This has become my new favorite alchoholic drink! I just added an extra shot of cap'n morgan's spiced rum for an extra kick. :) It's amazing! Espresso, steamed milk (as usual), french vanilla syrup, a touch of white chocolate for creamy-ness, irish cream syrup, and topped with cinnamon. shake it or stir it, it's amazing too. can't wait for your next zelda recipe! As soon as the pie pumpkin is in season again I'm going to try that one too. OMG, I can't believe I never hard about this blog before now.. Its amazing.. I Love Zelda, Its my best childhood memories from it. Thanks for adding, I am totally making this..
Can't wait for your new Zelda Recipes..
Can you get tipsy from milk? I mixed loads of sugar and water with a pinch of cinnamon, and put a few drops of whisky in and wahey! I am going to go try this now. I needed a heart refill anyways, and it'll definitely help to have unlimited magic for the next three days. Make sure all your liquid ingredients are properly chilled before making. Partially melt the ice cream in a microwave safe container. Keep in mind you don't want the ice cream to be completely liquid otherwise it's probably too warm, so make sure there's still some frozen lumps. Take your partially melted ice cream out. Once that's done, stir the ice cream so it's smooth and lump-free and all the spices thoroughly mixed in and as unnoticeable as possible. Add the ice cream to your serving cup or drinking cup. Add in your milk, then your soda water. Stir. Enjoy! I'd serve it in a bottle, too, just for aesthetics. Remember also that this drink is not a precise science, levels of each ingredient can be adjusted to fit your individual tastes. no,not the spice because you did not put anything in. Anonymous, you don't make any sense. I thought the directions were quite clear. If you don't know how to add liquid to a cup that is your problem. Someone commented on the Chu Jelly recipe page that the bottles in the recipe picture look like the store-bought Starbucks frappuccino bottles, so the next time I went to the grocery, I looked for some of them. When I found them, I realized that the company prints the labels directly on the bottles, which ruins the illusion of them being a Zelda bottle. Luckily, I was at my local Kroger, and they had Kroger-brand versions of the Starbucks Frappuccino in bottles that not only are the perfect size and shape for Link to use, but the labels are in the form of plastic that is wrapped around the bottles. Just remove the plastic wrapper, and voila - you have the perfect bottle for serving Chateau Romani. I hope this helps anyone else wanting to fix this recipe in an authentic-looking container. Remember - Kroger-brand Frappuccino bottles! i haven't played MM yet all the way through but i am working on it. i will definitely have to try this sometime, and you said there were other recipes! i HAVE to try them out too. 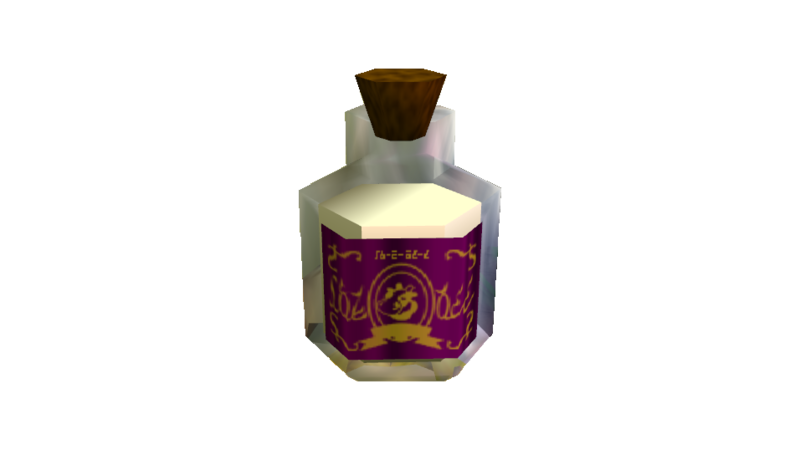 i wonder if there is a recipe for Link's Grandma's Elixr...you know that soup you get in WW...or..that Soup you get in Twilight Princess from the Yetis! now that one looks great and i love Fish, a fish soup? I'll tell you but you won't like it! I made it. Took about an hour. That's pretty cool! How'd you make it? And what materials/things did you use to make it? I'd like to know so I could to to make it myself, if possible. This is totally brilliant. I am so in love with your blog. Just made this, it was amazing. We did not melt the ice cream and instead just stirred it into the liquid half, it worked great and was perfectly smooth. For anyone wondering what it tastes like, think thick, cool, frothy eggnog. Dude,you made mine and my sisters day!!! we absolutly LOVE YOU FOR THIS!!!!! We made the alcholic version for our mom she put whiskey and a dash of rum. we had the non a version. i doubled the irish cream to sweeten it. WE LOVE YOU!!!!!! Just made this for the fourth time. Gets better every time. Wish I had some Bailey's. This tastes great. I had my mom and dad get non-alcoholic irish cream,(it was coffee creamer) and made it. Didn't have french vanilla ice cream, so I used New York vanilla instead. Also going to try pumpkin pie spice as the spice instead of nothing. Please can you do more Zelda recipes.. Thank you so much for making this recipe! I tried it not too long ago, and it turned out very delicious! Please do keep making more recipes! its the final hour and i am 13. i guess this is very familiar to the situation in the game! Just made it today, taste like eggnog with the egg! so good!!! I FEEL EMPOWERED!!!!!! My geekiness knows no bounds...gotta try it. Do you have a link to a site that sells the bottles you show on the left? You guys really need to try this with a little bit (tablespoon) of malt powder! Just trade the fizz for milk. Do you like inviting friends over for eggnog over the holidays, but all your friends hate eggnog? This just might be the substitute you're looking for. Baileys coffee creamer, diet cream soda, carbonated milk, Baileys icecream. What does the c. stand for in the ingredients?? You don't know what c. means? You've met a terrible fate haven't you? Woah.... I didn't know anyone knew how to make this. XD awesome! !